A city steep in history, Lisbon, Portugal is full of romance, amazing cuisine, and strong culture. As the capital of Portugal, Lisbon is the 11th populous area in the European Union lying in the western Iberian Peninsula on the Atlantic Ocean and the River Tagus. The city is recognized for its significance in finance, commerce, media, entertainment, arts, international trade, education, and rich architecture. Romanesque, Gothic, Manueline, Baroque, Modern and Postmodern constructions can be found all over Lisbon. There is so much to see in Lisbon, the largest city in Portugal all year long. With Lisbon in an ideal location surrounded by many gorgeous towns in close proximity, traveling is simple. For those staying in Lisbon, your options for one-day travel trips are endless. Let us walk you through the best day trips from Lisbon. If you like visiting quirky attractions, don’t miss the opportunity to look around the Museu dos Fósforos (Museum of Matches). It holds an expansive collection of matchboxes from across Europe and beyond, reflecting the passion of collector Aquiles de Mota Lima. The city of Tomar lies approximately 140 kilometres north-east of Lisbon and takes about 90 minutes to reach, driving on the A1. Trains take roughly two hours to cover the route, departing from Lisbon’s Santa Apolonia railway station. The inter-city bus service between Lisbon and Tomar takes one hour 50 minutes, leaving from Lisbon’s Sete Rios bus station. You might be interested in this guided trip from Lisbon to the villages of Constância and Tomar. Click here for more information. Perched atop a tall hill in Eastern Alentejo is the beautiful village of Monsaraz, and Monsaraz Castle. The village is one of the oldest in the region, having been settled since pre-historic times. The castle is medieval, built back when the nearby border was hotly contested by Spain. From the top of the hill you can enjoy the most stunning all-around views of the landscape below, taking in the River Guadiana and Lake Alqueva. Within the village you will find a charming warren of narrow cobbled roads full of white-washed buildings. Today, several are home to bars, restaurants and shops, including a winery shop in the former village school. As you make your way to the village, pause to visit a striking artwork by artist Joaquim Inacio Coelho Neves Cardoso. Installed in 2015, three rows of silhouettes of men in local hats represent the “Cante Alentejano” tradition, a local choral style that is listed as an intangible cultural asset by UNESCO. Monsaraz is about two hours drive from Lisbon; and there is (limited) parking is available at the site. The nearest train station is in Evora; from there you can either take two buses, or a taxi to Monsaraz. There are also tour operators in Lisbon offering day trips combining Monsaraz and Evora. 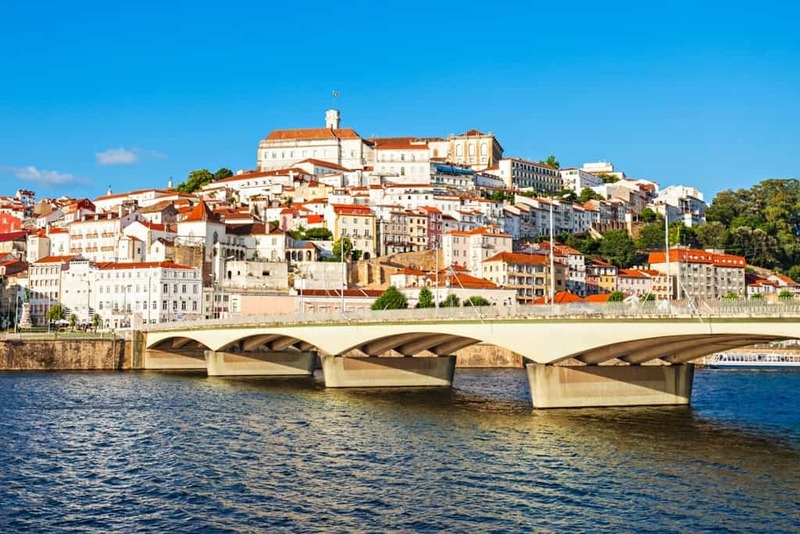 A lot of visitors to Portugal overlook Coimbra, which is a real shame because this amazing little city has lots to offer for every type of visitor. First off, this is an university town so there are plenty of interesting things happening through the day and night, most of them for free. Try to befriend a student and get the latest information if you can. That being said, don’t miss Coimbra’s famous university and the surrounding places. Climb the bell tower inside the complex for sweeping views of the city. The city’s sights are vertically aligned with the university right on top so it’s a good way to get this done and then climb downwards towards its magnificent old world church and the city centre below. Coimbra’s Fado scene is different from Lisbon and a visit to a bar at night will demonstrate exactly how. Try catching a show at Diligencia Bar, the oldest Fado house in the city. The next day, take a 10-minute drive to Conimbriga, the largest Roman ruins in Portugal. It’s easy to get to Coimbra from Lisbon. 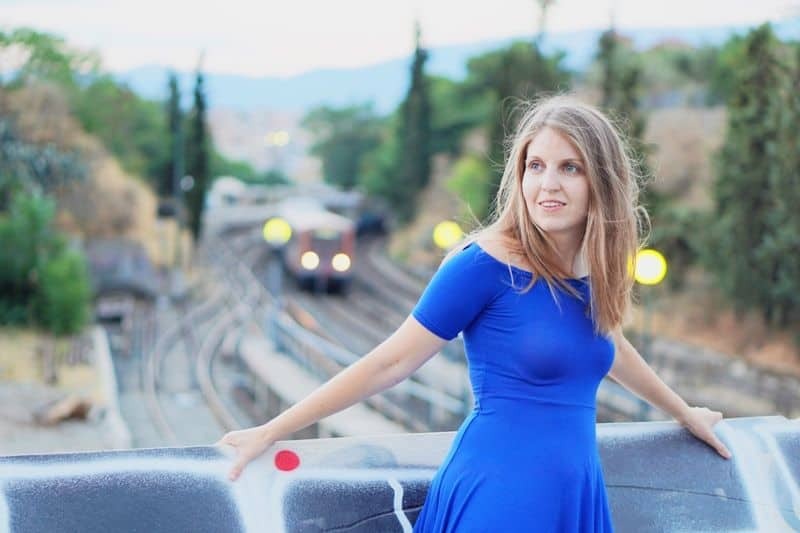 The best way is to catch a train to Coimbra B station from where you can catch a free 10-minute ride into the city centre station called Coimbra A. Alternately, buses will take about an hour and 45 minutes from Lisbon and drop you about 10 minutes from the city centre at Coimbra. 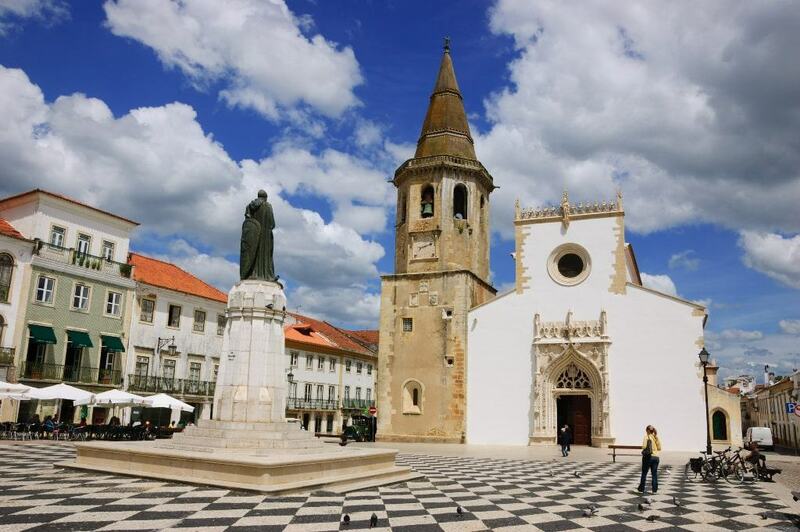 Évora, the capital of the Alentejo, is situated less than 150 km from Lisbon’s City Centre and less than 2 hours by train. 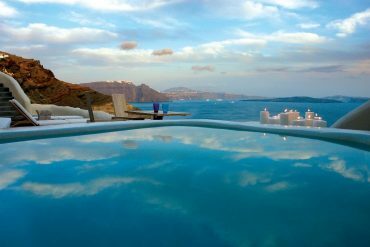 It’s perfect for a day trip or, if you fall in love with it, an overnight getaway. 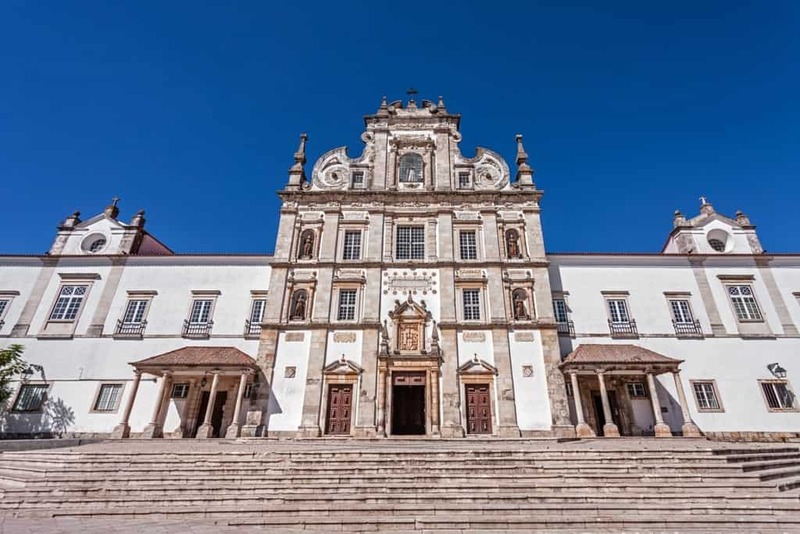 Getting to Évora is easy: simply hop on the train at Lisbon’s Oriente station and the train will take you directly to Évora. Most of the time this takes around 90 minutes, but some trips have a few extra stops and take 10 or 15 minutes longer. Once in Évora, there’s plenty to see and do including seeing historical attractions like the Roman Temple of Évora and the Cathedral of Évora. There’s also the very spooky Capela dos Ossos, which is made from thousands of human bones skulls. Visiting Évora also means a chance to try a few Alentejo dishes, many of which are harder to find back in Lisbon. As this is traditionally a rural, agricultural area, these dishes tend to be quite heavy and rely a lot on local ingredients like bread. Migas, a type of bread dumpling, and Açorda, a bread soup, are two unique Portuguese dishes that you’re likely to find locally. Porco Preto, the black pig, is another favourite on local menus as these are reared here, and definitely worth adding to your foodie bucket list. Although you can see everything in a day, it may feel a little rushed. If you don’t manage to see everything, it’s a good excuse to come back to this part of Portugal again. Picturesque Ericeira sits at the top of the cliffs overlooking sandy beaches about 45 km north from Lisbon. Due to its close proximity to the capital, this lovely laidback town makes an enjoyable day trip to explore coastal Portugal. 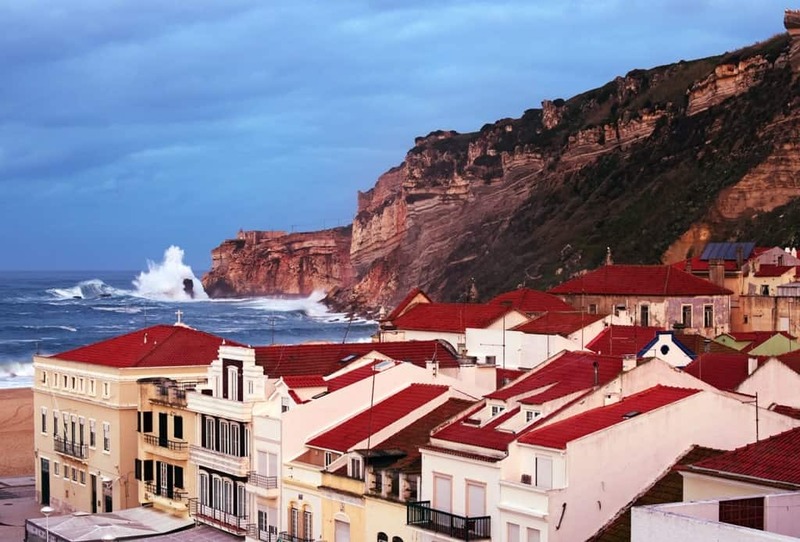 For centuries, Ericeira was primarily a fishing village. Then, one day, a perfect combination of weathered cliffs, sparkling waves, blue skies and, of course, forty beaches caught the attention of Lisboetas (that’s how people of Lisbon call themselves) and transformed the sleepy village into a popular weekend getaway. An abundance of freshly caught fish and seafood played a part too. Who can resist an impromptu feast after a long day of frolicking under the sun? In fact, nowadays if you mention Ericeira to locals, you immediately get a rundown of what and where to eat there. Trust me, do not ignore this wise advice and go to enjoy a fantastic cuisine. Ericeira is also famous for surfing. In the past decades, it gained worldwide recognition for its impressive waves and became a regular stop on the world surfing tour. Getting to Ericeira is relatively easy. Perhaps, the most convenient way is by private car or taxi. It gives an advantage of stopping by whenever you want and visit the historical town center and the beaches spread for miles around the place. Using public transportation is another option. It would require to take a bus from Campo Grande Bus Station in Lisbon. The bus terminal is at the ground level of Campo Grande Metro station that is served by both yellow and green lines. Tickets can be purchased directly from the bus driver. You might also be interested in Top things to do in Ericeira. One of the main reasons to travel to Portugal is visiting its cute, picturesque towns, packed with heritage sites. Nazaré and Alcobaça fall in this category and are only about 120 km from Lisbon making them nice spots for a day trip. 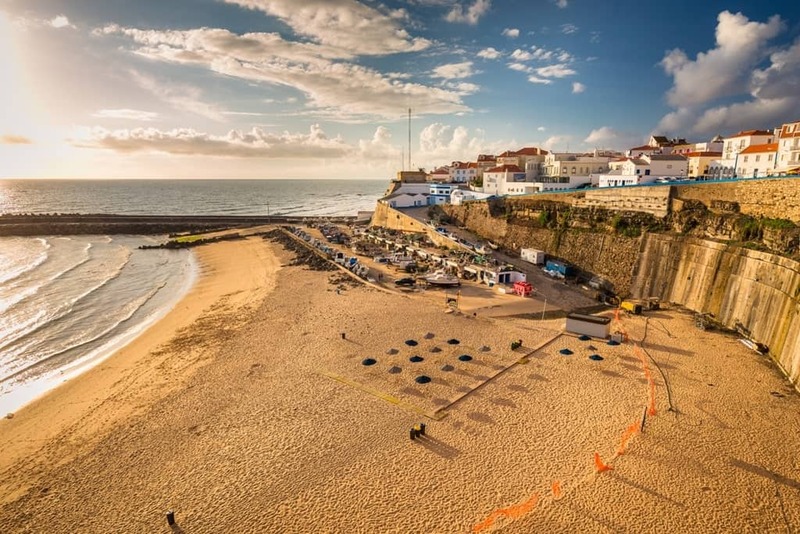 Nazaré is a coastal city with one of the best beaches in Portugal. 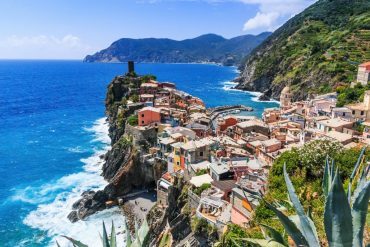 This fisherman’s town is crowded with typical white houses and surrounded by cliffs. On top of one the cliffs, is the famous Sanctuary of Our Lady of Nazaré and a chapel built over a small grotto. The chapel was built by a Portuguese knight after a miracle that happened on the cliffs, which created the Legend of Nazaré. Besides being a cute town, it is also a popular surfing hub. The northern beaches of Nazare have the highest waves in the world, and several surfing records have been set here. Next to Nazaré (15 km to the east) is the Historical city of Alcobaça. The city has one of the most important Monasteries in Portugal, the Monastery of Alcobaça, a UNESCO’s World Heritage site. The Monastery was built by Portugal’s first King and had a big influence on the surrounding lands. Several important Kings were buried here, as well as D. Pedro I and Inês de Castro, known for the most tragic love story ever. Besides its rich history, Alcobaça is the ideal place to eat tradicional Portuguese pastry, it is home to the Doçaria conventual, sweet desserts made of egg yolks. 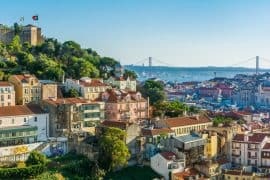 You can visit both (or either) cities on a day trip from Lisbon. To get to Nazaré or Alcobaça you can easily catch a bus in Lisbon, from the station of Sete Rios, there are several buses that go to Nazaré and/or Alcobaça. 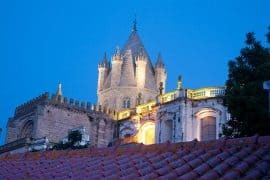 You might want to check this organized tour from Lisbon that goes to Obidos, Fatima, Batalha and Nazaré. Click here for more information. Cascais is a coastal town located 25 km west of Lisbon. 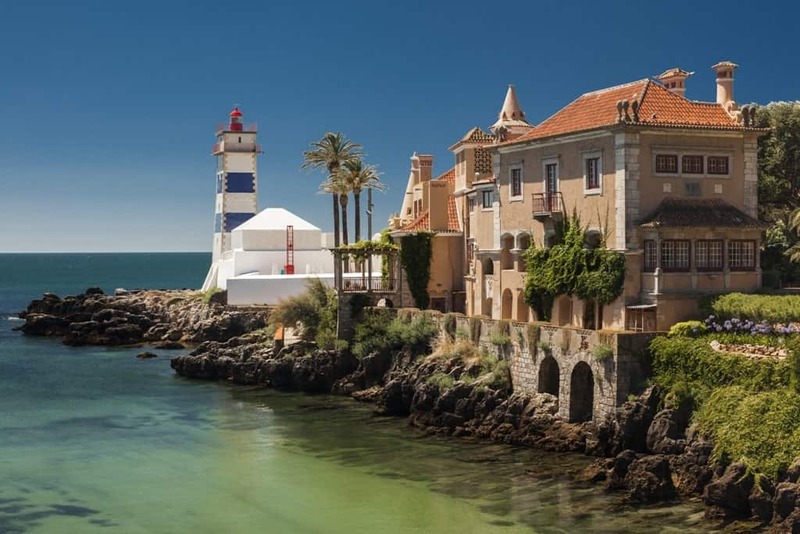 Its proximity to the capital and easy connection (40 minutes by train) makes of Cascais the perfect destination for a day trip or a weekend getaway out of Lisbon. In Cascais, you are never far from the sea and this is the main attraction. It has also a beautiful historic center with the main square paved with the little mosaics so typical of Portugal, winding streets with whitewashed houses, and some shops selling handicrafts for tourists. Marechal Carmona Park is also worth the detour, especially during the hottest hours of the day. It has palm trees, some benches on the shade and picturesque ponds perfect for a break. But we especially like to visit Cascais for its seafood restaurants along the coastal walk, with nice terraces with spectacular sea views (especially at sunset) and always proposing the catch of the day. Direct trains connect Lisboa Cais do Sodre station to Cascais. 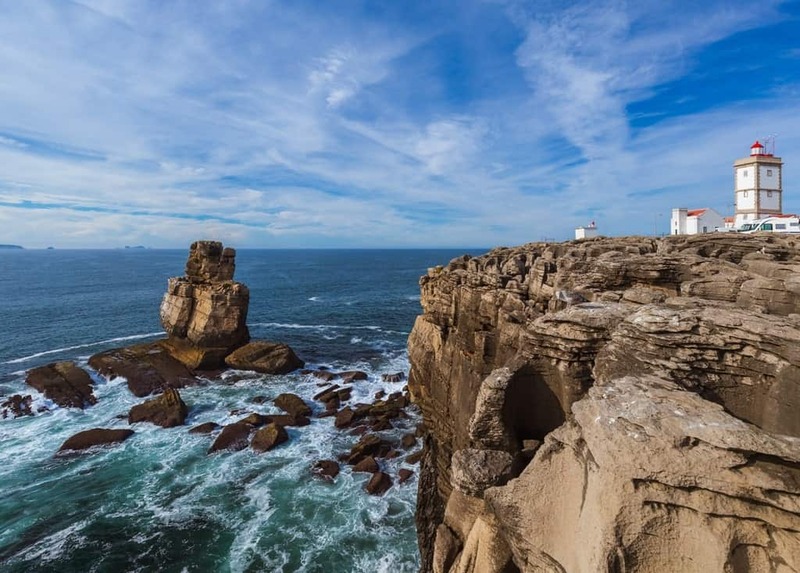 Some people like to combine a Cascais day trip with a visit to Cabo da Roca (the Western point of Europe) and this is an easy bus journey (15 km,25 minutes) leaving from Cascais main bus station which is located just in front the train station. You might be interested in this full day trip to Sintra, Cabo da Roca and Cascais. Click here for more information. 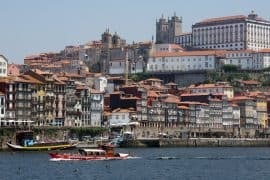 Visiting Porto, 300km to the north of Lisbon, might seem like a bit of a stretch as a day trip, but fast trains and Porto’s conveniently compact size, mean that it’s perfectly possible. You can travel by train from Lisbon to Porto in just over 2 hours 30 minutes. Take one of the frequent trains from Lisbon’s Oriente station through to Porto Campanha station, on the edge of the city. From there it’s a short trip on a local train to Porto São Bento station in the city centre. Porto São Bento station is a sight in itself. The grand entrance hall is full of beautiful traditional blue-and-white tiles and is one of the best examples in Porto. Step out of the station, and you’ll find yourself in the centre of Porto. From here, it’s just a few minutes walk to all the key sights. If you’re a Harry Potter fan, start with Livraria Lello, a magical bookshop that inspired the library at Hogwarts. From there, work your way down the hill towards the riverfront; walk via Miradouro da Vitoria for stunning views over the river. Once at the riverfront, take one of the many short boat tours under Porto’s famous six bridges. After your boat trip, walk over the iconic Luís I Bridge to Vila Nova da Gaia, home of Port wine. Don’t miss a tour of one of the Port wine lodges – there are plenty to choose from and most include a tasting at the end. 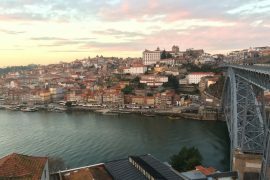 You might also like: Two days in Porto. Óbidos is this little town located on the Atlantic Ocean coast, in the center region of Portugal that makes for an enjoyable day trip from Lisbon. The town has well-preserved medieval architecture, visible on the streets, the fortified wall, the castle, making them one of the most beautiful places to go in Portugal. 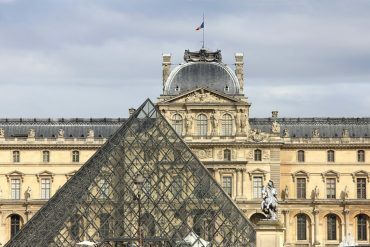 From museums to churches, there are so many things to see here. The castle built by the Arabs that is now a luxurious hotel, the ‘Porta da Vila’ with a tiled chapel, the aqueduct constructed in the 16th, are incredible sites you can’t miss. Óbidos lagoon is the most extensive lagunar system in the coast of Portugal rich in fauna and flora and it is also a good place for water activities. You will have difficult to choose, from windsurf, kiteboard, Jet Ski, stand up paddle, canoeing, and rowing. The locals use to go fishing and catching mollusks in the lagoon with the typical boats from the region, called ‘Bateiras’. You can’t leave Óbidos without walking the town walls and watch the sunset. If you feel thirsty after this just drink the traditional ‘Ginja’, cherry liquor. 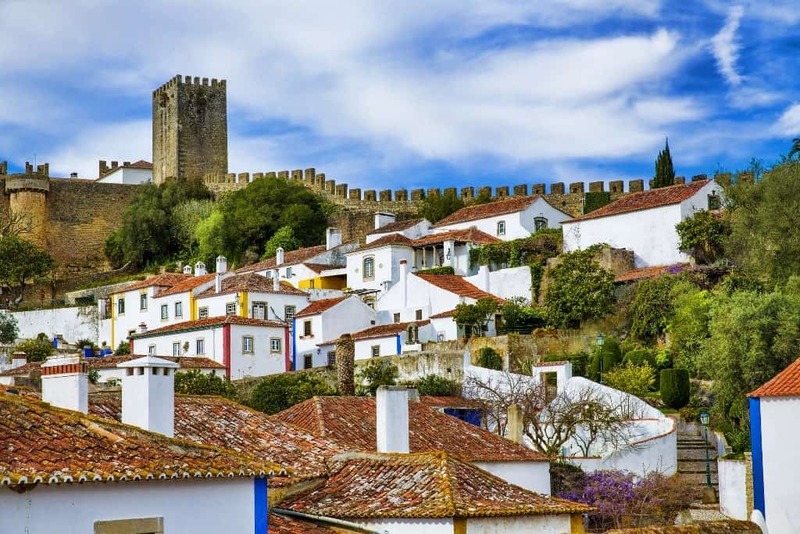 Óbidos is a town full of life, with so many events all over the year. In July the castle hosts a traditional ‘Medieval Market’, recreating the spirit of medieval Europe. General in March/April, for the sweet tooth, it takes place the ‘Chocolate Fair’. At Christmas, the town has decorations and activities, families visited the so-called ‘Vila Natal’. If you want to reach Óbidos from Lisbon, there is an inexpensive bus service (Green Express) daily, operated by Rodotejo company. You can also rent a car or go by train. This little corner in Portugal it was increased tourism lasting years so, you should visit as soon as you can before this place gets too crowded. Sintra was once Portuguese Royal Family’s favorite area to escape the heat in Lisbon. 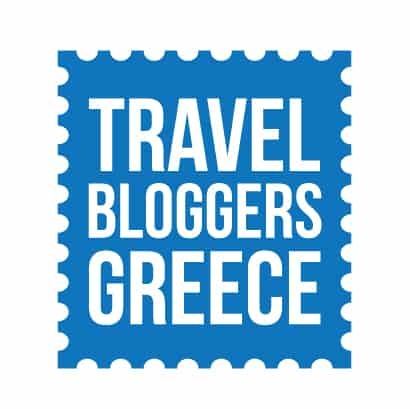 Now, it’s the place tourists flock to see the fairytale palaces and beautiful gardens. It has been recognized as an UNESCO World Heritage Site. Begin your visit at the oldest castle in Sintra, the Castle of the Moors. It dates back to 8th or 9th century and is now just ruins, but definitely worth a visit. You get amazing views from the castle wall walk, plus you can visit the cistern that was built in the 12th century to catch and store rainwater. 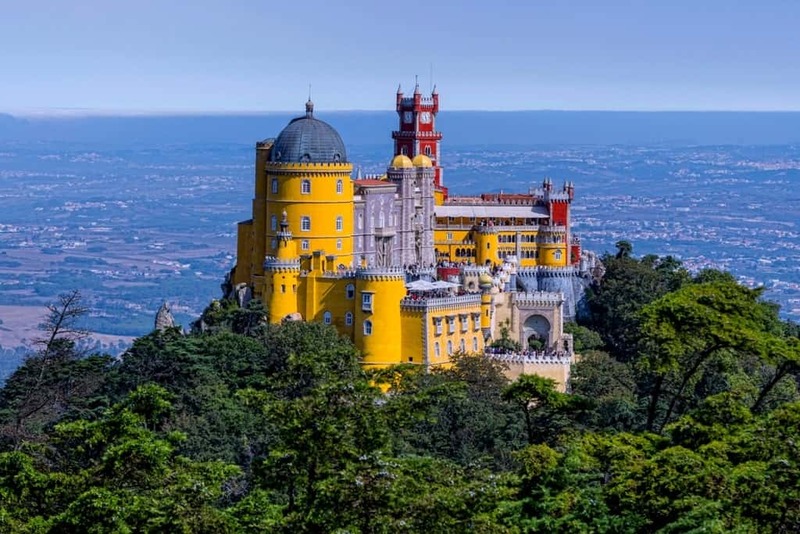 The most famous attraction in Sintra is the colorful Pena Palace, which was transformed from ruins of a monastery. The surrounding park includes a statue of King Fernando II, lush fern gardens, and amazing views over the palace. In Sintra’s historical town center, you will find the National Palace of Sintra, the summer residence of the monarchs from the 15th to the 19th century. Its two conical chimneys can be seen for miles. Inside, you will see some impressive tile work and period pieces. 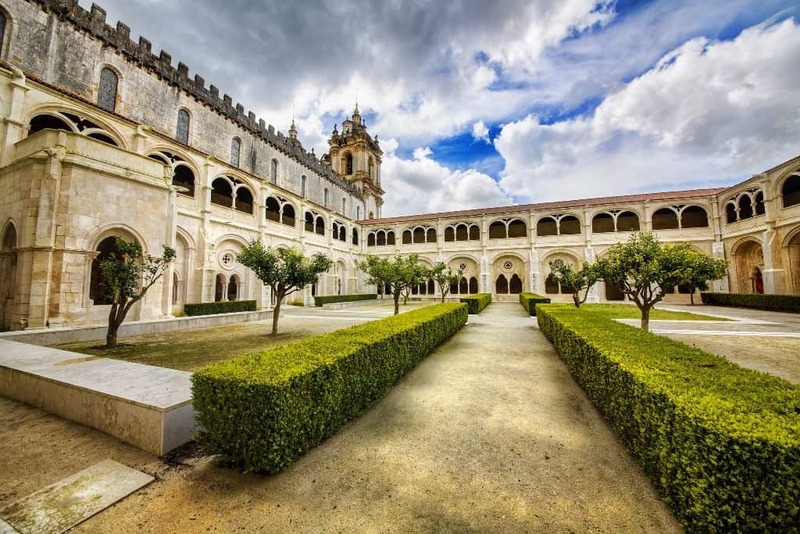 If you have any additional time, you could also visit Quinta de Regaleira, Monserrate Palace, Chalet and Garden of the Countess of Edla, Capuchos Convent, Palace of Seteais, or the Sintra Museum of Modern Art. You can easily do a day trip to Sintra from Lisbon (although you will want to stay longer). You can catch the train from the Rossio Train Station in Lisbon, it runs every 30 minutes and takes less than an hour. Alternatively, you can book a skip the line ticket to Pena Palace and Park, totally recommended in high season when the lines are huge. Located in the Centro region, next to the Carvoeiro Cape peninsula, and in front of one of Portugal’s most stunning nature reserves (Berlenga island), the coastal town of Peniche has no shortage of unique culture and traditions, great food, and natural resources on top of welcoming locals; used to deal with young surfers that come from colder destinations in search of the perfect waves of beaches such as Baleal, Medao and Gamboa. The most famous one is Medao, especially when the mighty Supertubos wave appears. But there’s more to Peniche than great surfing and fresh seafood. If you want to make the most of the destination, do not miss its Fort, Carvoeiro Cape, Fonte do Rosario, and Sao Joao Baptista’s Fort in Berlenga island. Only then you’ll get the big picture. 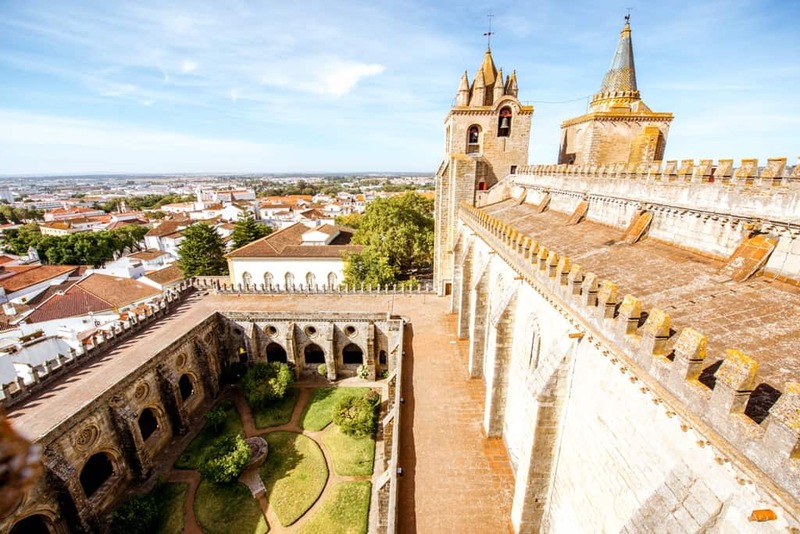 The city Santarem famed for Gothic architecture, churches, convents and stunning monuments makes a perfect daytrip from Lisbon. Located 80km from the capital we walked through Santarem during the Portuguese Camino de Santiago. 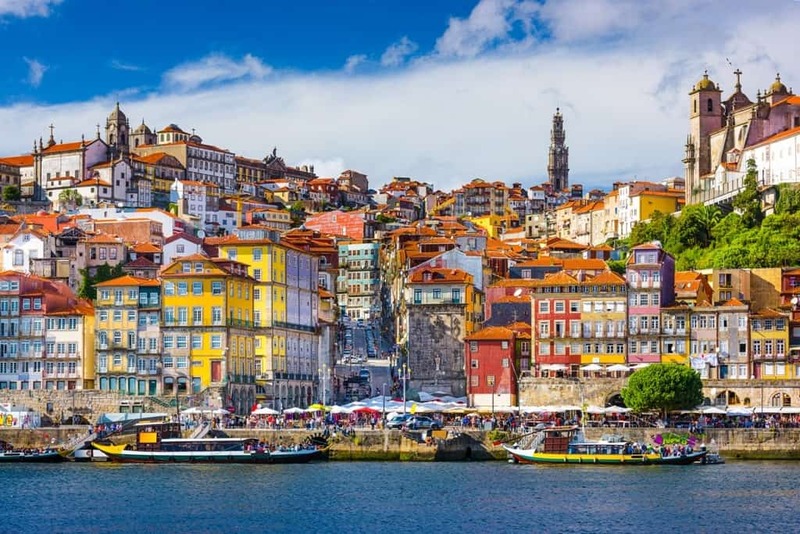 The gothic city was the home of Portugal’s kings throughout the middle ages, located far above the fertile Tagus plain the city has some stunning vantage points. Exploring the coble stone streets of Santarem on foot you will see why Gothic architecture is the city’s claim to fame. The whole city is stunning but there are a couple of sites not to miss.Igreja da Graça, is a church that was built in the early 1400’s and is a national monument and classic example of gothicarchitecture. The Largo das Portas do Sol is a garden contained within ancient walls. 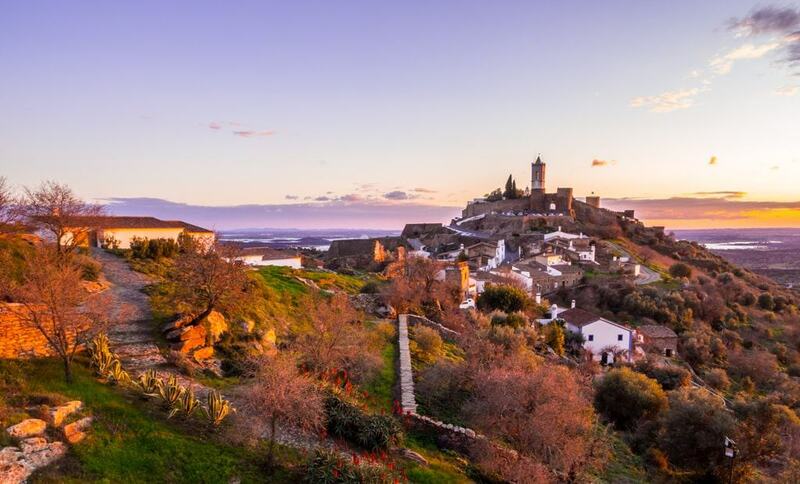 It is one of the most historically important viewpoints in the Ribatejo region and has been inhabited since the 8th century BC. The architecture and marble ornamentation in the cathedral MuseuDiocesano containing art works from the 1200’s is definitely worth paying a visit. If you want to do some local shopping The Mercado Municipal is an excellent spot, Santarém’s covered market dates to 1928 even if you are not interested in buying local produce, the glaced tile panels on the walls recounting the history of agriculture and trade on the River Tagus and the Santarém region is interesting to see. Santarem can be visited from Lisbon as part of an organised day trip or you can do the trip independent by train. Trains from Lisbon to Santarem depart 5 times daily; the trip is less than an hour for under EUR10 one way. Just 40 kilometers from Lisbon city center is the westernmost point of mainland Europe. This cape is a rocky, vertigo-inducing cliff with a monument, a lighthouse, and beautiful vistas over the Atlantic ocean. 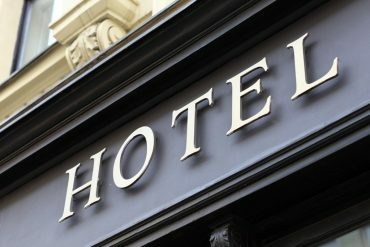 For facilities, there’s a restaurant and some souvenir shops on the premises. Depending on the time of year and what kind of tantrum the ocean throws, you can have beautiful blue skies or dramatic cloudy ones. Both are good for taking mesmerizing photographs. Pack appropriate clothing for wind or rain if it’s in the forecast. You can visit the cape year-round from Cascais or Sintra with bus 403. You can reach Sintra or Cascais from Lisbon either by bus or by train. This makes a day trip to Cabo da Roca nicely combinable with a visit to Sintra or Cascais. A return trip from Cais do Sodré would take about 2.5 hours of transit and should cost less than €15 per person. It’s also an option to take public transport to Cabo da Roca and hitchhike back from the cape to Lisbon, for more of an adventure. Alternatively, you can rent a scooter and enjoy the beautiful winding road leading there. My partner and I rented one for the day from Cascais, which cost about €30 and includes two helmets. Check beforehand if you need to show an international driver’s license, or if a license from your home country will suffice. 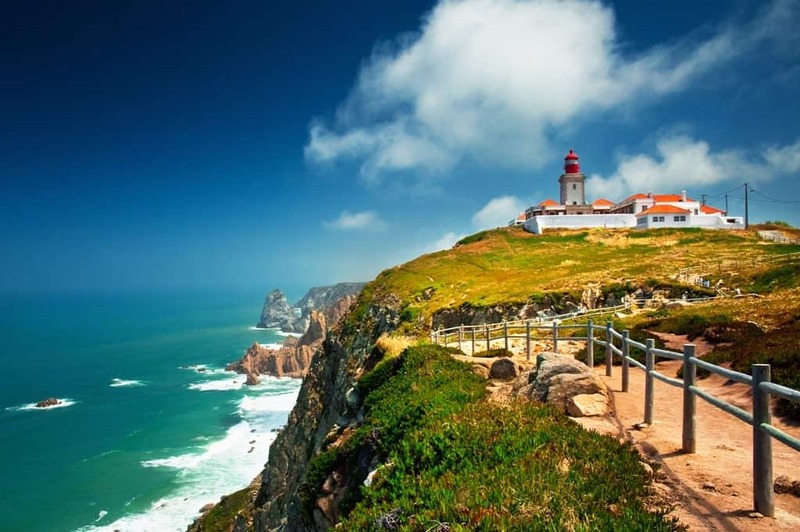 If you still want to visit Cabo da Roca, but find all of this too much planning, you can always book a tour with one of Lisbon’s many agencies. 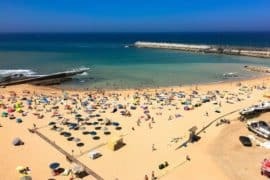 Sesimbra is a lovely coastal town that is popular with Portuguese holidaymakers but largely unknown among foreign tourists. If you’re looking for an authentic Portuguese cultural experience, Sesimbra is a great choice. Walk along the coastal promenade, following the glorious sandy beach that extends all the way around Sesimbra Bay. The diminutive Fortaleza Santiago divides the beach in two, and there’s also a much larger and older castle up above the town. It’s an uphill 20-minute hike to get there, but the views are definitely worth it. While Fado is the preferred musical genre in Lisbon, in Sesimbra people sway to the upbeat rhythms of Brazilian samba. There are quite a few samba schools based here, and every year they compete against each other in the Rio-style Carnaval parade, complete with decorated floats and costumed dancers. 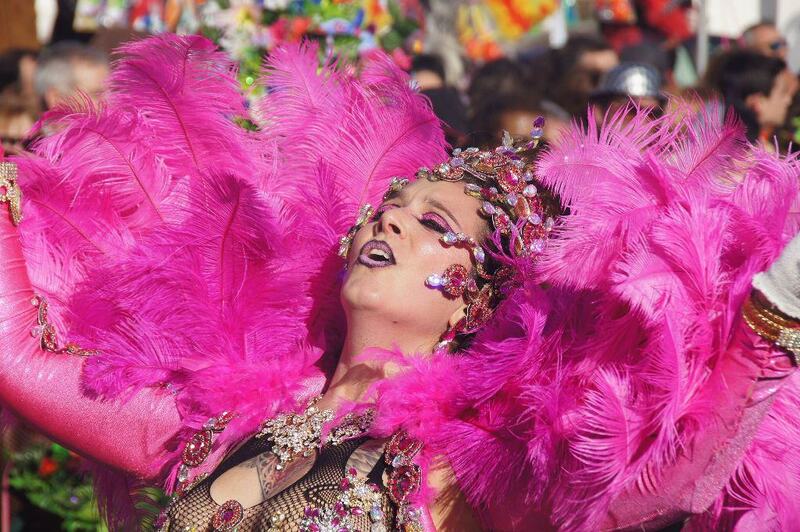 Another samba event, called MegaSamba, takes place on the last weekend of July. If you’re in Portugal at the right time of year, be sure not to miss these events! Enjoy brunch at Alohá Beach Café, a lovely plant-based restaurant with views out over the water. 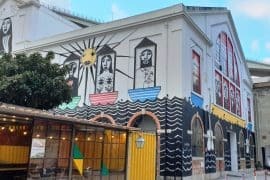 It’s the sister branch of one of Lisbon‘s most popular vegan restaurants. TST is the bus company that runs the route between Sesimbra and the Praça de Espanha bus station in Lisbon. The journey takes about one hour and costs 4.35 euros each way. Departures are more or less hourly, and tickets are purchased directly from the driver when boarding the bus. You might be interested in this guided tour from Lisbon to the Arrábida Natural Park and Sesimbra. Click here for more information. Lisbon and its surrounding cities are worth the day trips to see all of their glory. Visitors to these vibrant cities such as Intra and Cascais, full of culture and history are guaranteed to have a memorable trip. Are you starting to plan a trip to Lisbon? Which ‘day trips’ will you be taking while you are staying in Lisbon?